Jeff Locke and Josh Krusell will the attending the Municipal Insurance Association of B.C.’s annual Risk Management Conference, which is being held in Vancouver from April 16 – 18. Jeff will be presenting a pre-conference workshop entitled “Risk Management for Front Line Staff” on April 16. Jeff will also be participating as a panel member in the “Building and Planning Thinktank Session” on April 18. Peter Johnson and Ryan Bortolin will be attending this years North Central Local Government Management Association Conference in Prince George, from April 10 to 12. Peter and Ryan will be presenting a workshop on contract law and procurement on April 10, and will be presenting a “Legal Update” on April 11. We look forward to our participation in the conference. Stewart McDannold Stuart will be participating in the upcoming 2019 Local Government Leadership Academy’s Elected Officials Seminars. On January 16 and 17, Peter Johnson will be presenting a session on “Current Legal Issues” at the seminar for LGLA members, in Richmond. On February 13 and 14, Kathryn Stuart and Ryan Bortolin will be presenting sessions on “Current Legal Issues” (Kathryn) and “Local Government Law 101” (Ryan) at the seminar for AVICC members, in Parksville. From all of the lawyers and support staff at Stewart McDannold Stuart, we wish you all the best for the holiday season and a happy and prosperous New Year. In lieu of sending greeting cards this year, we have made a donation to the BC SPCA Wild Animal Rehabilitation Centre (Wild ARC). Thirty-One Great Years! What’s Next Now? 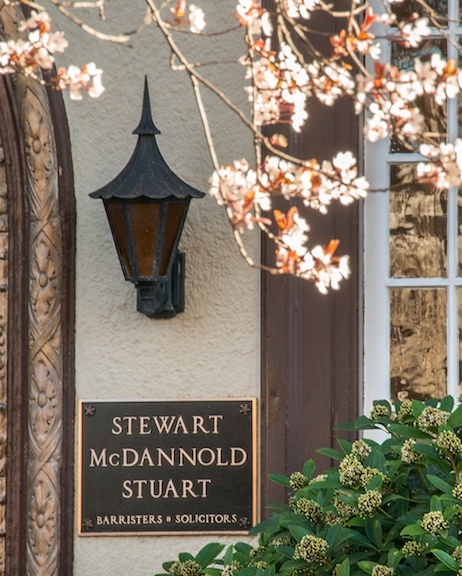 As some already know, I will be retiring from the partnership with Stewart McDannold Stuart after 31 years in the practice of law and 30 years since the founding of the firm of Wilson Staples McDannold & Marley, that evolved over time into Stewart McDannold Stuart. It has been a terrific 3 decades. I was so fortunate at the outset to have had the mentorship of some outstanding “municipal law instructors” such as Galt Wilson, Q.C. (who passed away in 2012) and Lorena Staples Q.C. both of whom I met when they taught the municipal law course at UVic, and who then provided so much guidance and knowledge when I was an articled student and young lawyer. Peter Johnson will be presenting a “legal update” at the upcoming Association of Regional District Planning Managers annual conference, on November 7. The ARDPM annual conference is being held this year on November 6 and 7, in Victoria. Peter will also be speaking at the LGMA Corporate Officers Forum on November 22, on the topic of Contracts and Agreements – Key Issues for Corporate Officers. The LGMA Corporate Officers Forum is being held this year in Kelowna, from November 21 – 23. Stewart McDannold Stuart’s Election Day Hotline will be available on Saturday, October 20. 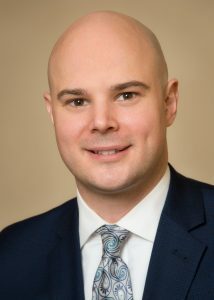 We are pleased to announce that Josh Krusell has joined Stewart McDannold Stuart as an associate. 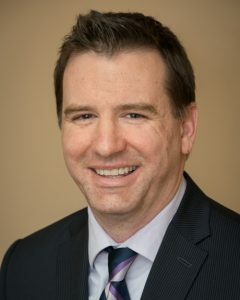 Josh will be working with our litigation practice group, acting for our local government clients.